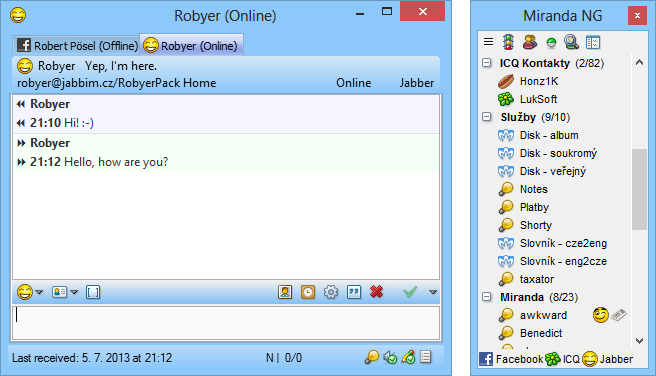 Miranda NG is a multi-protocol instant messaging client supporting most common protocols by default including Facebook, GG, ICQ, IRC, Jabber and MSN. However, additional protocols (including Discord, Skype, Tox, Twitter etc. ), plugins and languages are available via "Main menu > Show full plugin list" (see online list). As the program is a code fork of Miranda IM, an FAQ about the differences is available. Alternatively, Miranda NG Portable is also available. smaragdus: My understanding is that they include all the popular plugins inside the distro. This is because plugin fragmentation and version issues were part of the reason for the Miranda NG code fork. I really didn't like not being able to hit "enter" and have the message send. You can configure this behavior under options - Message sessions - General tab - Sending messages - checkbox "Send message on 'Enter'"
If that seems like a lot to go through to configure something fairly basic, that's kind of how this client works: a little confusing with a trade-off of intense customization. Mozilla Thunderbird is a skinnable, feature-rich email, calendar, task and instant messaging client with support for plugins and many protocols. It comes with advanced search tools, message filtering, Bayesian spam detector, built-in spell checker, mailbox compression and many more. Program features can be extended with add-ons, including a specialized version of email encryption tool GPG. Email protocols include SMTP, POP3, IMAP4, NNTP and RSS and chat support for IRC, Twitter, XMPP and Google Talk. 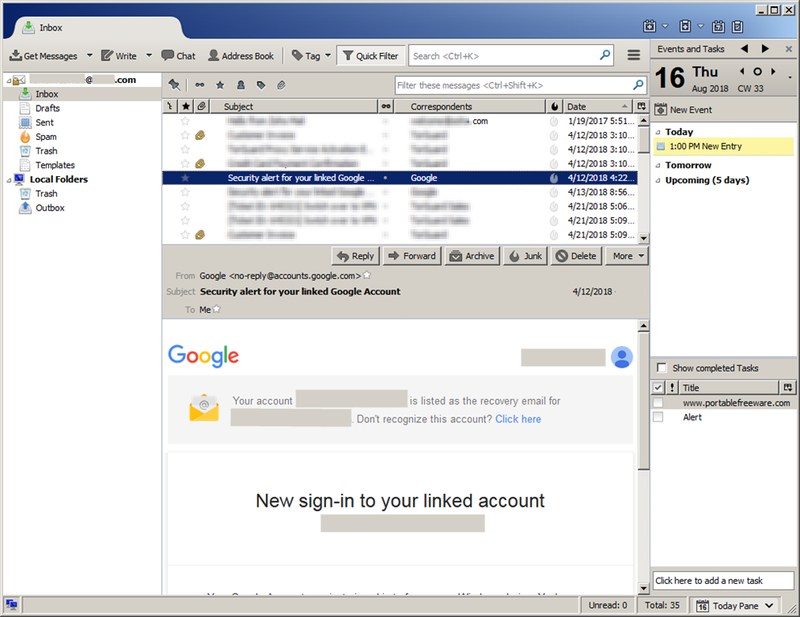 Mozilla Thunderbird, Portable Edition is a special build licensed by Mozilla. Alternatively, X-Thunderbird is also available. How to extract: Download the self-extracting EXE and extract to a folder of your choice. Launch ThunderbirdPortable.exe. You need to update the GIF. 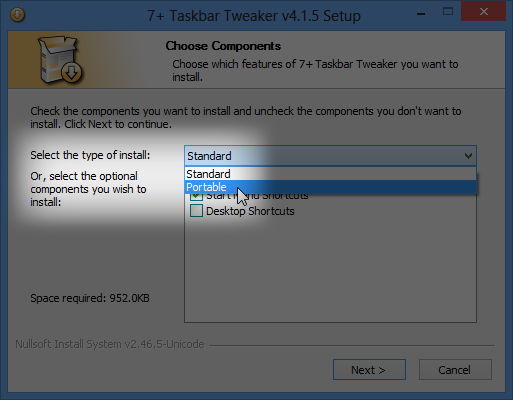 7+ Taskbar Tweaker allows you to configure various aspects of the Windows taskbar including mouse configuration, thumbnail handling, pinned items and button combining. Optionally, delete unnecessary help files. This app was worth installing just for the ability to disable the minimum width restriction on vertical taskbars. Now it's nice and narrow. Right-click the tray icon and select 'Advanced Options', then set the 'no_width_limit' value to '1'. Windows SmartScreen reports is as not recommended to run. @JasonK: I don't know why it would - maybe Windows doesn't really want programs like this that complicate support calls? The program itself is 1/68 on VirusTotal (clean). BleachBit quickly frees disk space, removes hidden junk and safeguards your privacy. 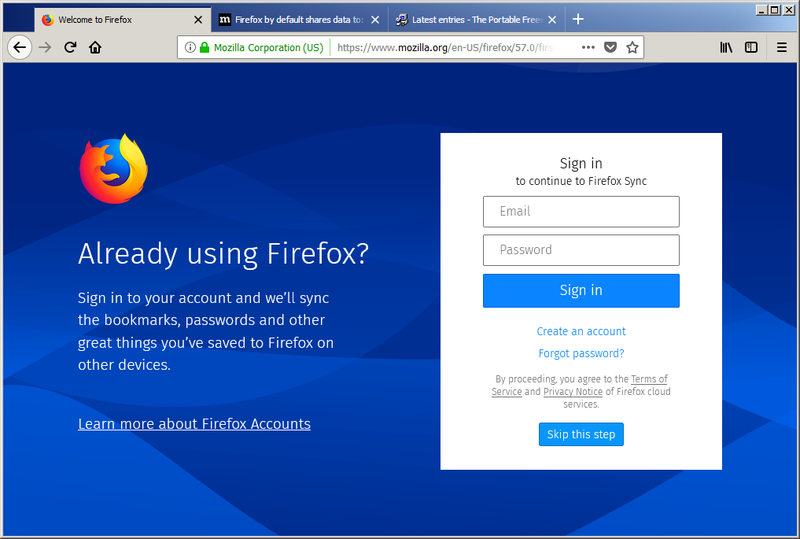 You can erase cache, Internet history, cookies (including the much-maligned "evercookie"), DOM storage, unused localizations and temporary files of 70 applications including Firefox, Internet Explorer, Flash, Google Chrome, Opera, Safari, Adobe Reader, APT and more. 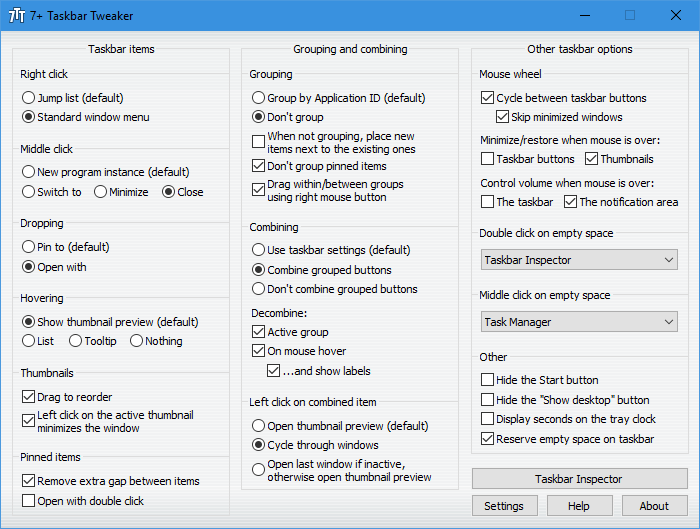 Additional applications can be added with the community authored winapp2.ini cleaner list in the Preferences - General tab (requires restart). Includes wipe function to protect privacy, support for many languages, and available for Linux and Mac OS X. How to extract: Download the "portable" ZIP package and extract to a folder of your choice. Launch bleachbit.exe. The link didn't work some hours ago, that's why I asked.